All Snow is made the same way! Simply put, real snow is made when water vapor in the atmosphere freezes into crystals due to the low sub-freezing temperatures. These crystals build up, stick together and become snowflakes which fall and become snow. All Snow makers make snow in an identical way to natural snow in that the process involves the freezing of water droplets by the extraction of heat. The Basic principle of all snow production is the freezing of water which is done when sufficient heat is removed from water molecules to make snow. 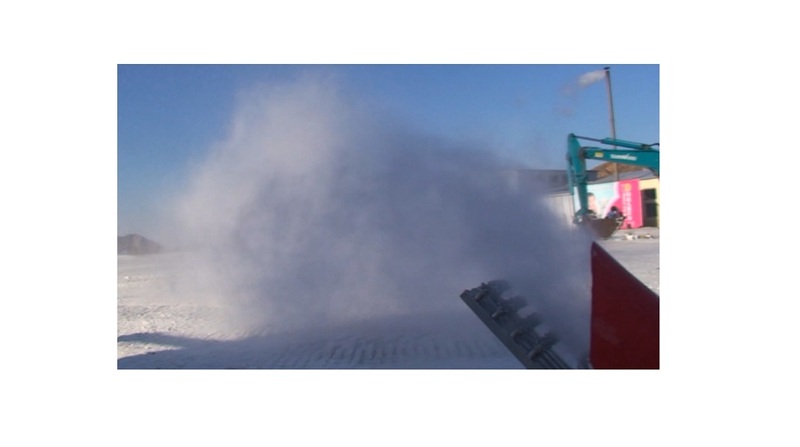 The patented Bucceri Snow Making systems use the same principles to make snow at any temperature. 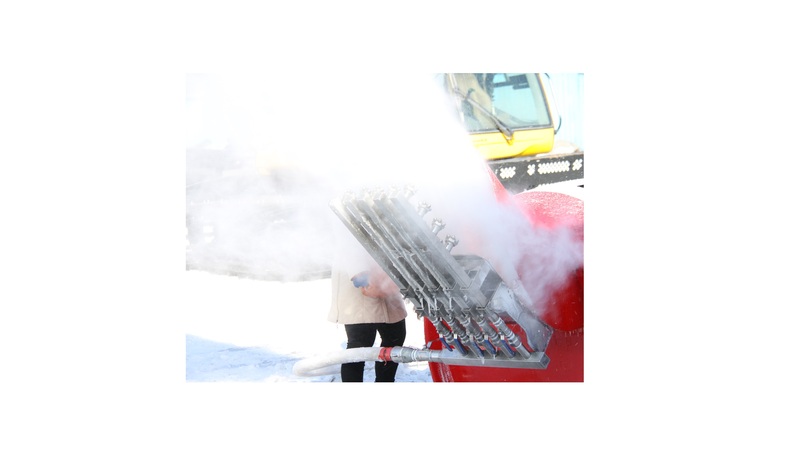 In a conventional Snow Making Machine, compressed air and high volume of sub freezing air are combined with cooled water. The compressed air causes some of the water to form smaller drops and freeze. The fan blows and mixes the ice drops with huge volumes of cold air and water and with sufficient hang time the snow is made and falls to the ground. The colder and drier the temperature the more water can be added and more snow made. Most snow makers use high powered fans to throw the mixture as high into the air as possible to allow the maximum amount of water to freeze. Others use high pressure water and/or compressed air only. The Bucceri Snow Making System uses unique technology to create the same results at any temperature. 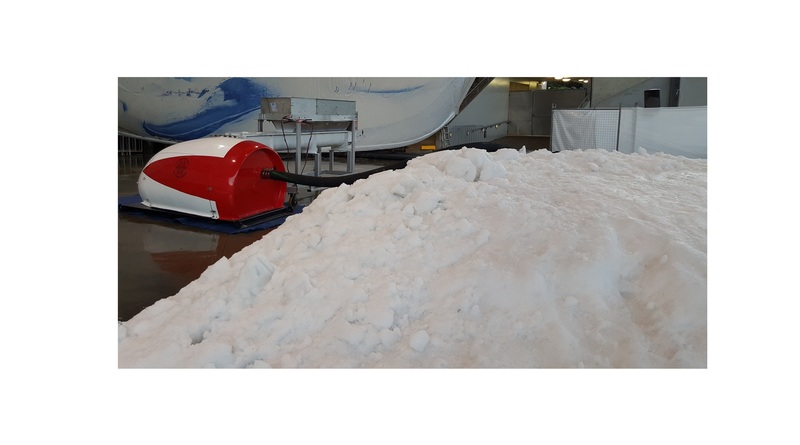 Different types of Bucceri Snow Making machines are used for different types of snow activities. Dry Snow makes a smoothly gliding ski surface and is great for Snow Play. Wet snow is great for an underlying base. The Bucceri Snow Making method provides snow at any temperature and can clone and multiply snow at below freezing temperatures. One of the advantages of Bucceri snow makers is the ability to re vitalize and refresh old snow and immediately generate fresh powder throughout ski season. This is why Bucceri snow makers are essential equipment for successful ski resorts. The production of snow with conventional equipment such as fan guns requires low temperatures. The threshold temperature for snowmaking increases as humidity decreases. Snowmaking can be a relatively expensive process in its energy use; thereby limiting its use especially when the window of opportunity to make snow is limited and the snow that is made can be lost during warmer day time temperatures even before it is used. The Bucceri Snow Making system for guaranteed opening days makes snow flakes weeks and even months before required. This snow is stored and only used when the conditions are conducive for blowing the snow on the slope and opening the ski area. The cost of making the snow should be quickly absorbed by the income earned from guaranteeing the opening day of the season.